Milagros Maria Del Pino Suarez has a request for President Obama: While you’re in Cuba, please ask Raul Castro where her father, Rafael Del Pino-who was hanged in a regime prison in 1977 for supporting democracy-is buried in Cuba so that she can one day honor his grave. On Sunday, Mr. Obama became the first American head of state to travel to Cuba since Fidel Castro imposed a Communist dictatorship on the island. The visit follows the president’s Dec. 17, 2014, announce­ment that the U.S. would pursue a rapprochement with the Castro regime. Since then, the administra­tion has loosened restrictions on conducting business in Cuba, made traveling to the island easier, and opened an embassy in Havana. These developments are alarm­ing to people like Ms. Suarez, whose pursuit of justice for her father could become a casualty of the president’s policies. Rafael Del Pino embodied the values Americans hold most dear. Born in Havana in 1926, he believed strongly in democracy and freedom, and he sought to bring those ideals to his native Cuba. In the years leading up to the Cuban Revolution, that quest created a deep rift between him and a man he had befriended, Fidel Castro. Recogniz­ing that their differences of opinion were insurmountable and made continued friendship impossible, he cut his Castro ties and moved to Miami, where he became an Ameri­can citizen and served in the U.S. Army. Del Pino’s dedication to the cause of democracy in Cuba en­raged his former friend. In 1960, Fidel sent an agent to Miami to trick Del Pino into returning to Cuba under the guise that he was rescuing a family member from oppression. When Del Pino arrived in Cuba the military arrested him on the spot. He was convicted after a sham trial and sentenced to 30 years in prison. Over the next 17 years, Rafael was tortured and endured unspeak­able horrors until he was executed by hanging at the infamous Combinado del Este prison. Knowing that he had been an American patriot to the bitter end, his fellow inmates sang “The Star-Spangled Banner” as Rafael’s body was being carried away. Del Pino left behind two children in Miami—a son, Rafael Jr., and a daughter, Milagros Suarez. The sib­lings have spent much of their adult lives fighting to hold the Castro regime accountable for its crimes. They brought a lawsuit that led to a jury verdict against the Castro regime in a Florida state court in 2008 for the torture and wrongful death of their father. But the judg­ment was never honored, and Rafael Jr. died in 2014 before seeing the regime held accountable for its heinous crimes. Unfortunately, this story is not unique. Across the U.S., many of Castro’s victims and their family members have won judgments against the regime for the atroci­ties it has committed. These judg­ments were obtained in American courts of law under statutes such as the Foreign Sovereign Immunity Act and the Civil Liability for Acts of State Sponsored Terrorism. 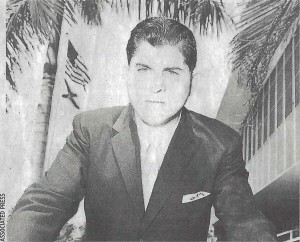 Although the Cuban Asset Con­trol Regulation (CACR)—imple­mented in 1963 after President Kennedy imposed the embargo on Cuba—allows these judgment hold­ers to recover their damages from regime-owned assets in banking institutions, the Castro regime has systematically moved significant assets through the global financial system in a manner that circum­vents the CACR and other applica­ble laws. Justice has thus remained elusive for these victims and their family members. As the U.S. moves closer to re­storing full diplomatic relations with Cuba, the fate of the numer­ous judgments that have been legally obtained against the Castro regime in American courts will be brought to the fore. The Castro regime will most likely insist that all of these judgments be wiped out as part of any final normalization. Under federal law and Supreme Court precedent, the president has the authority, as part of his foreign policy powers, to extinguish judg­ments like these that are obtained against foreign governments. President Obama, and whomever his successor is, must not forget the Castro regime’s victims, or their family members. Congress must let it be known that it will not fully lift the embargo against Cuba unless they get justice. Moreover, every presidential candidate, regardless of party, should publicly declare that he or she will insist that the Cuban government abide by the rulings of U.S. courts. The rapprochement between the U.S. and Cuba is an opportunity to finally secure some measure of justice for many of the victims of the Castro brothers and their surrogates. Messrs. Hunt and Leonard are attorneys at Cozen O’Connor who represent Milagros Maria Suarez and the estates of Rafael Del Pino Jr. and Rafael Del Pino. As printed in The Wall Street Journal on March 22, 2016.